A Yoga Retreat provides a rare opportunity to immerse yourself in fully supported environment that has you at the heart of it. Our personalised approach to yoga means you get lots of individual attention. After 20 years teaching our experience insures a professional and understanding guidance. 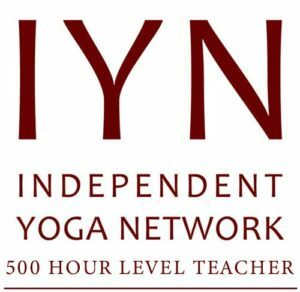 As owners and hosts at Isle of Yoga we have run retreats and workshops for guest yoga teachers for the last 6 years. Due to this we have gained an ideal understanding of what yoga guests need and want. A Yoga retreat or workshop with the team behind Isle of Yoga is an intimate and unique experience. Suitable for anybody with an interest in Yoga and Meditation, being in nature and exploring the Isle of Wight. It’s the perfect choice if you want to relax and refresh your body and mind. We prepare all of our food with you, our guests in mind. Erling’s past life as a chef also helps give us an edge. You wont be disappointed. Its a stunning place miles of sandy beaches & unspoilt beauty. It was my first yoga retreat ever. I could not have dreamt about anything better than what Elaine and Erling offered me during my stay at the Isle of Yoga. I really appreciated everything during the retreat: the kindness of Elaine and Erling and their passion for yoga and life in general, the delicious and healthy food, the relaxed and familial atmosphere (2 kids, 1 dog and 1 cat => home, sweet home), the wonderful landscapes we discovered during the walks we did (the Isle of Wight is a jewel) as well as the friendly and inspiring people who participated to the yoga retreat. Join Elaine and Erling for a relaxing and nurturing weekend of inspiring Yoga, delicious food, great company and the space to unwind and re-connect. In the spirit of Vanda Scaravelli’s way of working with a small group of students visiting her home, we are opening our home to you. Prices are per person; Accommodation is in 3 double rooms (single occupancy) and 1 single room. No Rooms are en suite all rooms share bathrooms. Room allocation is at hosts discretion to best suit the group as a whole. Erling is a Scaravelli inspired yoga teacher, graduated from the Acquaviva school of yoga. He teaches from this effective and anatomical approach. Elaine has also worked with some of our most recognised Scaravelli inspired yoga teachers including Gary Carter and John Stirk. But she chooses to say she is just a Yoga teacher. Does it matter if I’m new to Yoga? No not at all. The yoga is tailored to the individuals needs and abilities. We run small group retreats & workshops with a maximum of 8 students. This is an ideal ratio for the teacher to have time for each student. Retreats are also about getting away and enjoying your new surroundings. The Isle of Wight a beautiful yoga retreat destination. What style of yoga do you teach on the retreats? We teach Hatha Yoga, and we are both influenced by the Scaravelli inspired yogaapproach. This is a gentle but very deep & effective anatomical approach to classical yoga. The practice is mindful and mediative yet in motion. Paying particular attention to natural, functional movement. Will we get the chance to explore the Isle of Wight? Yes you will. Although our programmes vary depending on the theme and season of the retreat or workshop we allow time for our guests to get out and about in the local area. We encourage walks as we have access to both the coast and inland on our door step. Approximately 1/2 the Island is designated an AONB we are very lucky. How do you get to the Isle of Wight? By train, plane or automobile..and a ferry. It is rather easy actually. Erling.Yoga is situated in Shanklin. We are at the end of the Island railway line which connects to Portsmouth Harbour and national rail networks. Visit Isle of Wight the official tourist guide has a good guide on their website. If I did not answer all of your questions, please feel free to drop me a line anytime. Please use the form below, I’ll get back to you within 24 hours.